Is it time to earn money with your classifieds? Let your customers promote their listings, buy credit packs, become exlcusive members on your site and much more. Plenty of gateways integrated will help you to get money anywhere in the world. Osclass Pay is ultimate payment solution for osclass with exclusive functions. 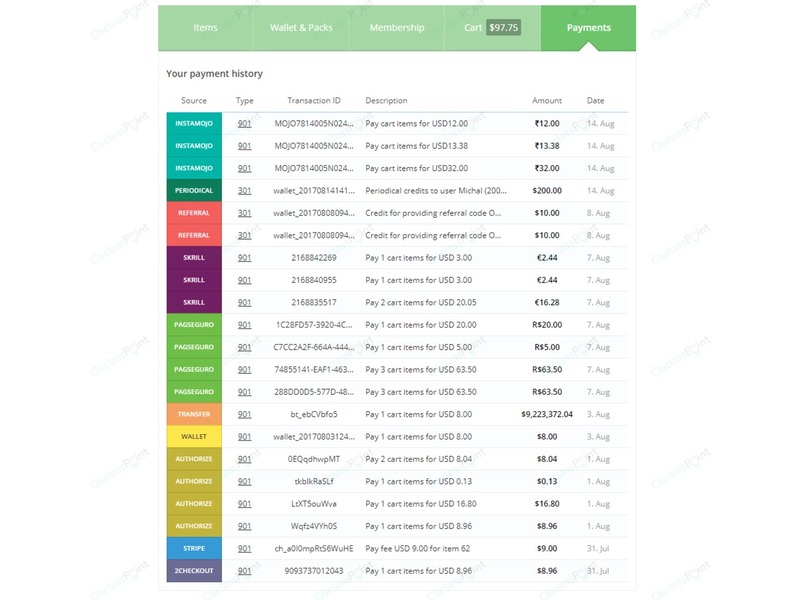 Payment Gateways: Paypal, Stripe, Skrill, Instamojo, PayUMoney, CCAvenue, PagSeguro, Bank Transfer and much more! If you need payment solution not listed above, contact us for price of integration your payment gateway. There are 6 different ways of item promotions that users can pay for. Allows to mark listing as premium and show listing in special blocks for premium listings, make them more visible in search or get special label of premium listing (depend on theme). 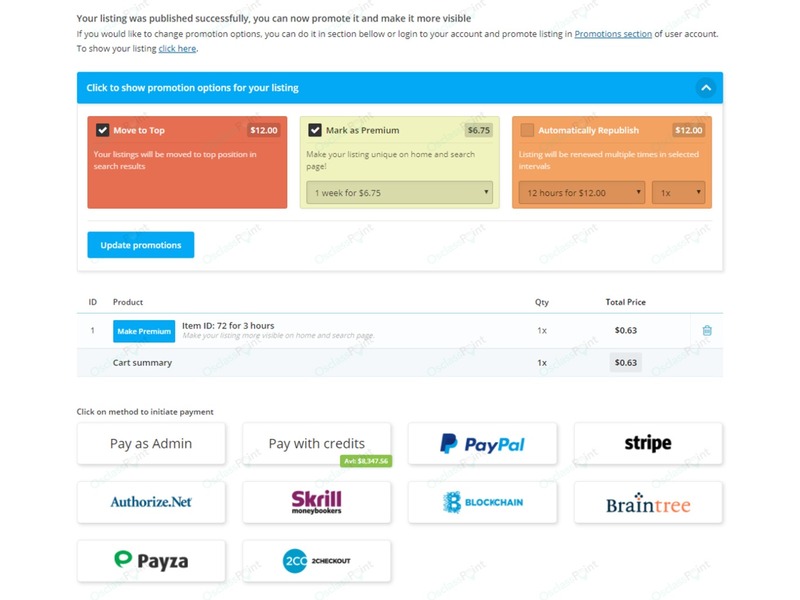 In order to show listing to all users, it is required to pay Publish fee. When fee is not paid, item is not visible. 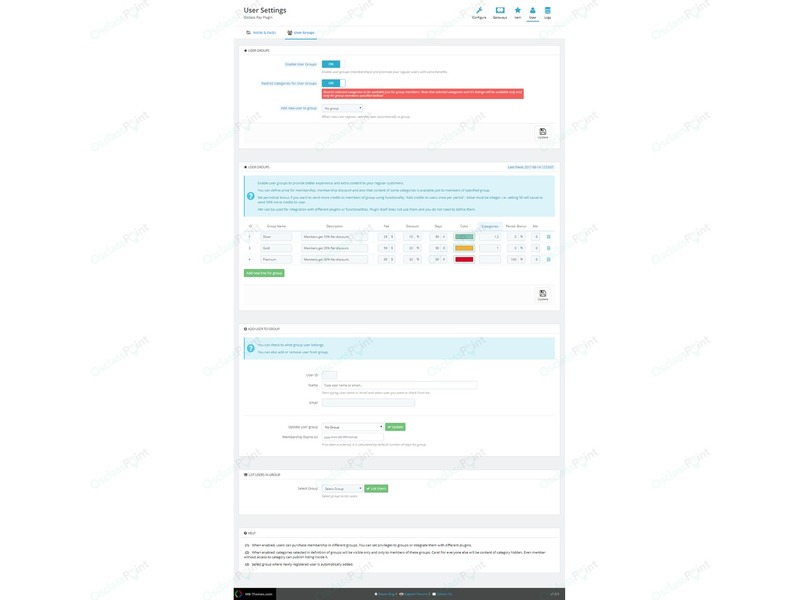 Allows to highlight listings and make them more visible and attractive to other people. Plugin allows to setup background color for highlighted items (boxes in search) and define own css style for highlighted items. Charge your customers for showing pictures on your listings. It is well known that some categories simply require to post image, like when selling car, this function enables to hide images of listing until image fee is paid. Note that customer can upload pictures without any problem, those are just not shown and item behave like without pictures. Enable customer to move listing to top of search. This functionality helps to fight with duplicate listings, instead of publishing copy of existing ad, customer can renew/move to top listing for fee. 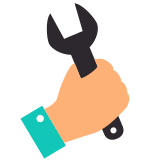 Allows to setup republish period and repeats of listing. When ad is republished, it behaves like newly published listing. Customer can set duration and repeat of republish. When republish fee is paid, listing is republished immediately and then after selected period multiple times. Each promotion allows to setup different price per category, disable promotion in particular categories and setup uplift/adjustment of price per country and region. As example you can setup Publish fee to be $2 in For Sale category, disable Publish fee in Vehicles category, increase price by 100% (to $4) in region California and reduce price by 50% (to $1) in region Alabama. 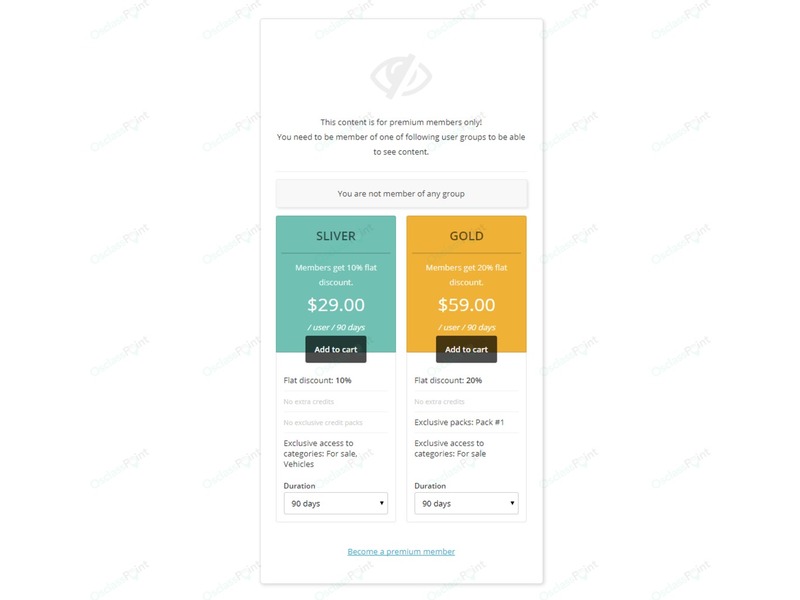 For promotions Mark as Premium, Highlight item and Republish it is possible to setup also different duration and set different prices for them for each category. As example, you can setup Mark as Premium to be possible to purchase premium duration for 12 hours for $2, 1 day for $3.5 and 1 week for $5. Then in Republish promotion you can enable republish after 1 day and republish after 1 week only. It means settings are independent for each promotion. For promotions Republish/Renew listing you can setup also allowed repeats, so user can purchase i.e. 3 repeats or 10 repeats with duration of 3 days. This means listing will be republished for 10 times each after 3 days. It is possible to setup also repeating discount for republish so it is better deal to get more repeats. Listings can be promoted in different ways. Admin can promote listing from oc-admin as well as from front, as promotion options are visible to admin and site admin can "Pay as admin". Non-logged in user can promote listing on publish page, when some promotions has been selected or there are some required promotions (Publish fee, Show image fee), user is redirected to item promotion page right after listing is published. Logged in user has same option as non-logged user, but can promote listing also from User Account > Promotion section. 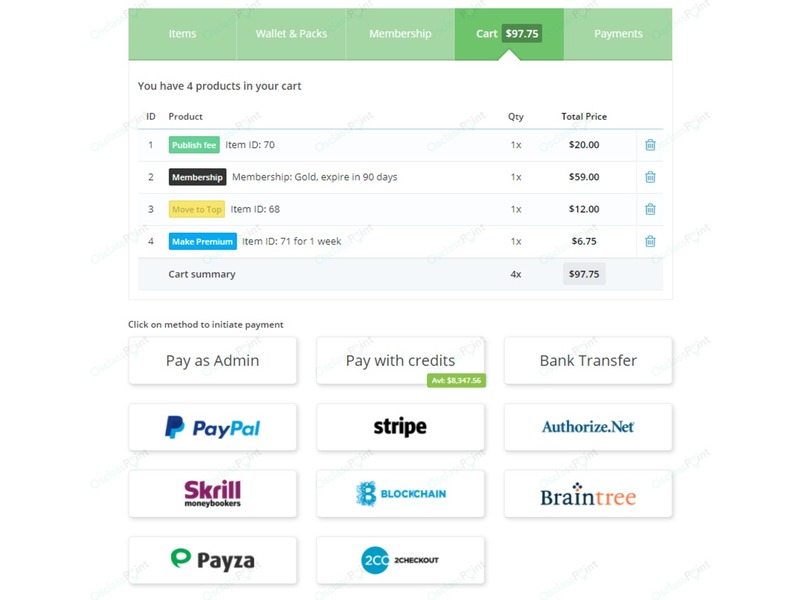 Multiple products can be placed into cart (promotions for different items, credit packs or membership) and checkout/paid with one click. 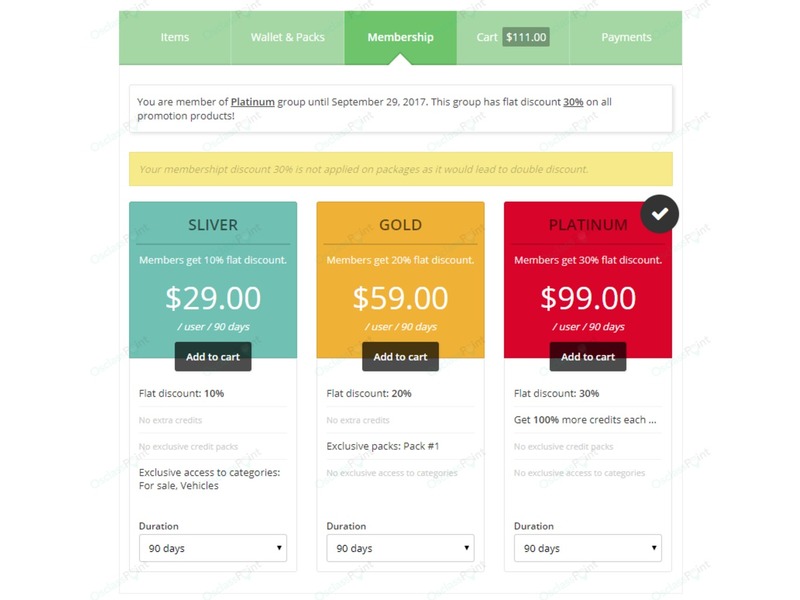 Logged user can see payment history, use referral program, get credits for registration, get periodical credits or become member of some group. 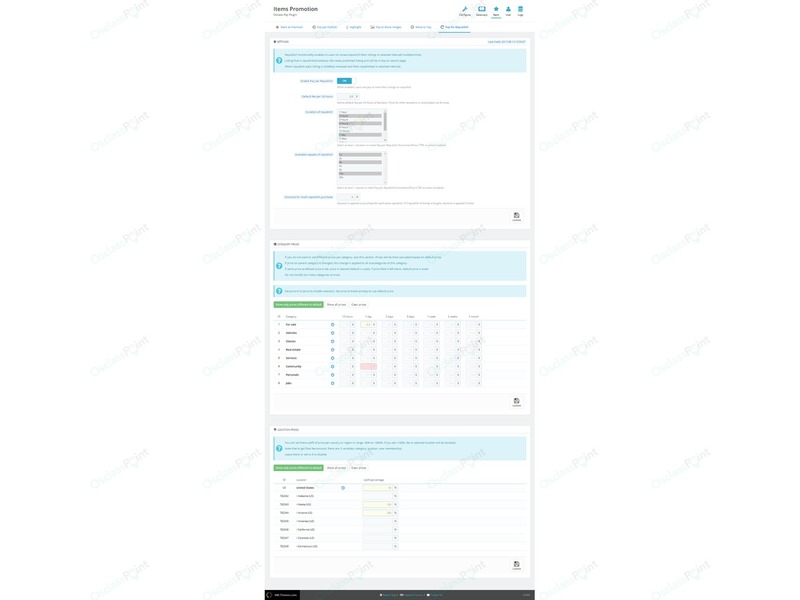 When logged user is browsing own listings, promotion options are shown as well. 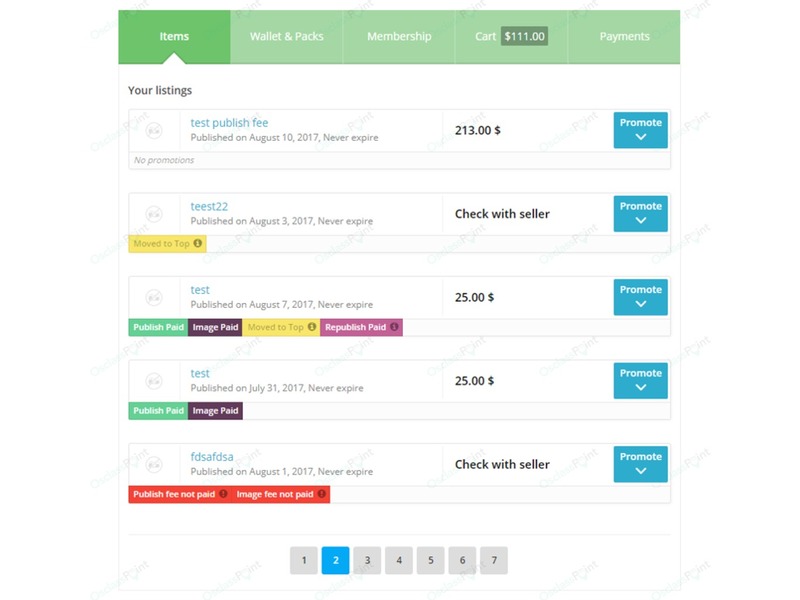 Osclass Pay Plugin allows to set specific users as sellers and these users can sell their items directly using plugin. Payment goes to site owner account and it's on owner to get commision from sale, send money to owner and follow order status. In case there is some problem with seller, admin can remove user from seller list and stop product selling. Users verified as sellers can make their listings to be in sale. Then customers can buy products directly using your osclass classifieds and do payment on your site. Admins and sellers can set available quantities for each product so if quantity is reached, product cannot be bought anymore. It's possible to show/hide available quantities as well to customers. Admin can define user as seller and add this user to list of verified sellers. Seller is responsible for delivering products to buyer. Admin can update order status and notify buyer with additional information. It's possible to enable selling to all users as well. Plugin allows to set status for each order. Initially order is in status processing, where products are being prepared for shipping. Next status is shipped that means order is handled by carrier and beeing delivered to customer. As last status, completed means order has been delivered to buyer and is completed. Order can be cancelled as well, in that case all funds related to this order should be refunded to buyer account by seller. This feature require Banner Ads Plugin to be installed. It is paid plugin. Osclass Pay plugin provides numerous functions to attract your customers to get registered and use benefits of registration, or become special members on your classifieds. 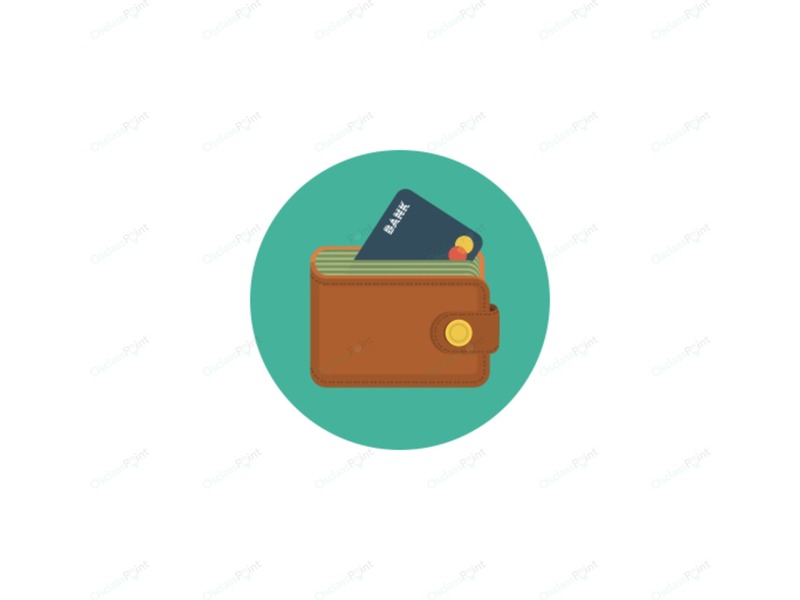 When user wallet is enabled, registered users can buy credit packs and use different promotions. Credit Packs - it is possible to create unlimited number of credit packs, setup it's price and bonus credits received, setup background color or define credit packs just for specified user groups (user groups explained bellow). All data relative to credit packs (name, description, ...) can be translated into any language. Periodical bonus - it often happen that user register on your site and then leave and never come back. Change that! Provide registered users periodical bonus and get them back to your classifieds. It is possible to define amount of bonus as well as period how often bonus is send (once per week, month or quarter). Bonus is send on first day of selected period. Do you have regular customers and not sure how to benefit them? Or just have categories where you want to charge your customers to see it's content? 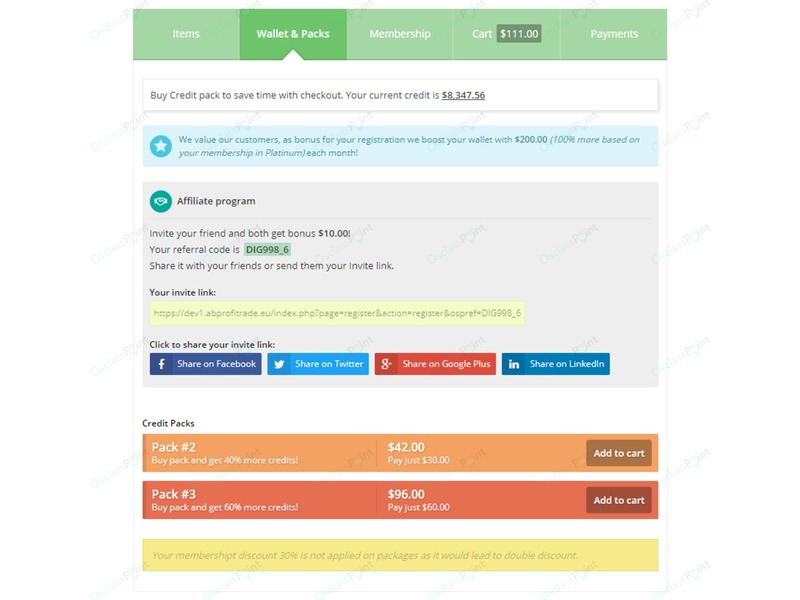 Or you want to just create membership area on your classifieds? Osclass Pay plugin can do it! User groups - create as many groups as you need, there is no limit. You can define group name and description, price for selected period (i.e. $20 for 30 days), setup flat discount for item promotions, define background color, increase periodical bonus (section above) so members of group will get i.e. 30% more credits periodically. You can also assign categories to group so only members of group will be able o see content of category. All data relative to user group (name, description, custom, ...) can be translated into any language. You can restrict how many listings can users publish on your site in what period. There is default setting for all users and can be increased in user groups. This means, that you can setup i.e. 5 free listings in 30 days, but for members of particular group it can be 20 free listings in 30 days. Membership in group is executed automatically via cron and user is informed about expiration of membership. For PHP 5.x it is recommended to have MCrypt library installed on your hosting. For PHP 7.x you should have openSSL installed (contact your hosting provider to check). These libraries are used to encrypt sensitive data. Make sure your cron is setup correctly. It is essential functionality for plugin. Please check plugin documentation or osclass documentation. If you are not sure what to do, contact your hosting provider. 1.5.4 - When new bank transfer is created, customer gets email with all the details regarding payment. 1.5.5 - Fixed sending email for new bank transfer. Плагин то хороший, но к сожалению нет ни одного платёжного шлюза для России. Такие как Яндекс деньги, Робокасса и другие. On e-commerce products to make discount prices and shipping. 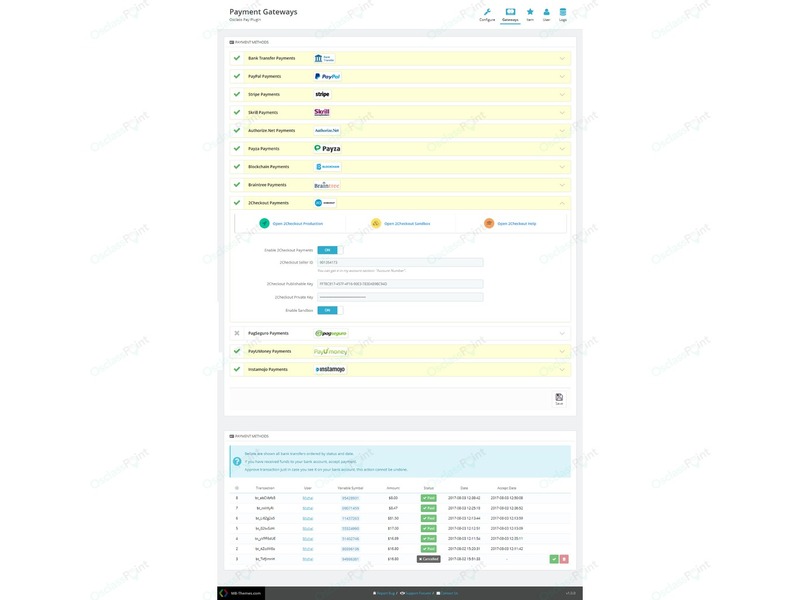 Thanks for your feedback, we have considered this functionality to be added to this osclass payment gateway but for now it's not being developed. I bought this plugin because of Paystack integration. everything is working but the Hight iTEM funtionality is not working please anyone with help is welcome. Hello George, thanks for your feedback. Ensure you have highlight_class hook added in your loop. You can test if plugin is functional on bender theme. If problem persist, please create support ticket. I have bought this plugin due the PagSeguro support, and I don't regret. Is working right, and I needed support about doubts and bugs, the devs were really nice with me. Nothing to complain. Great job! Usable plugin with a lot of features. 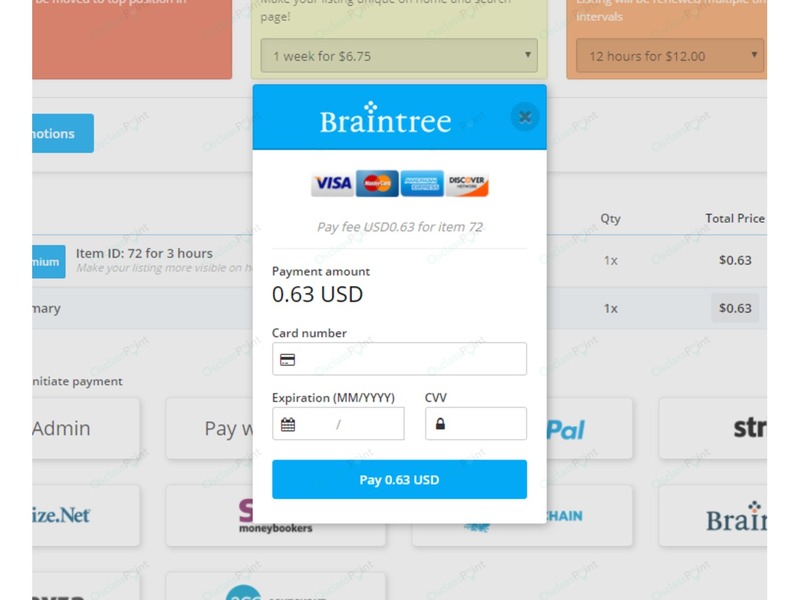 I bought and tested other payment plugins. That's the most useful plugin I tested. And the support is fast and helpful. Buy these 5 products, use get 40% discount and save 55.18€! Buy these 5 products, use get 35% discount and save 54.58€! Buy these 5 products, use get 25% discount and save 29.99€! Buy these 3 products, use get 30% discount and save 26.99€! Buy these 4 products, use get 25% discount and save 25.49€! 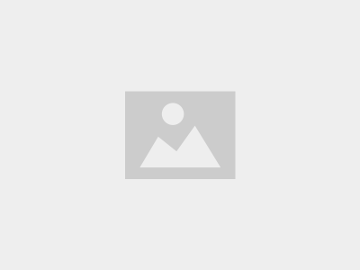 Buy these 3 products, use get 28% discount and save 23.51€! Buy these 2 products, use get 25% discount and save 11.99€! Buy these 2 products, use get 20% discount and save 10.80€! Buy these 2 products, use get 10% discount and save 6.00€! Buy these 2 products, use get 10% discount and save 4.80€!